Why is there a Neighbourhood Forum? 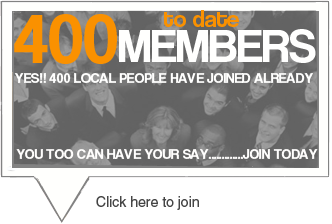 Home > Why is there a Neighbourhood Forum? 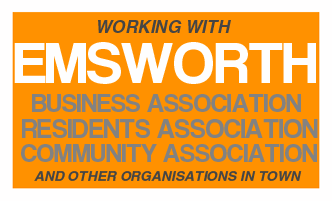 The Emsworth Neighbourhood Forum is made up of a body of volunteers working in conjunction with other orgnisations in Emsworth such as (amongst others) the Emsworth Residents Association (ERA) and Emsworth Business Association (EBA) to design the Emsworth Neighbourhood Plan. The Neighbourhood Plan will become a legally recognised document that will incorporate the aspirations and desires of multiple interested bodies and not simply those that encompass planning and development. 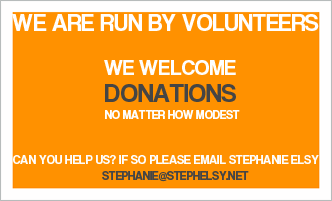 Topics such as Health, Traffic, Business and Culture will also be included. Having said that the Neighbourhood Plan will be heavily influenced by a document already in existence and recognised by the local authority. 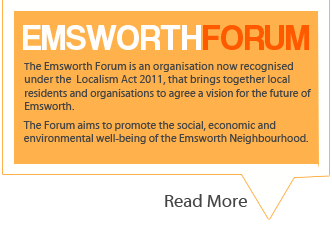 Following broad public consultation, an Emsworth Design Statement was produced by the Emsworth Residents Association in 2008, setting out the design parameters for the town. Since that time it has been treated as a document of “material consideration” by HBC. The EDS has an Appendix which was not adopted, but has been an advisory note in planning matters for the town. 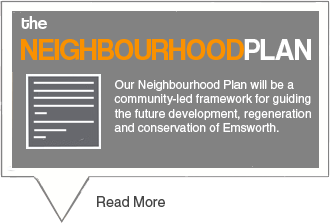 By incorporating the EDS within the Neighbourhood Plan, once approved, it will become a statutory planning document within the legal planning framework. This plan will add to the core strategy by setting out in more detail the requirements which will need to be met within Emsworth for any proposed new development and the infrastructure which will be needed to support it.